I’ve finally done it – after three years of loading my cart at B&H and then getting cold feet and not actually placing the order – I’ve finally ordered my dream lighting setup. It took me about two weeks of research (for what has to be my 6th+ time doing this) and discussions with the lighting experts at B&H, as well of some of my favorite photographers including Tim Wallace, and the legendary Joe McNally. Even with all of that I had several last minute changes, and like anything this big I both went over budget and still have things that I want but couldn’t afford at this time. I won’t go into full detail of what all I have, but you can find the full list here along with exact quantities ordered down below. However, I thought I’d do a short rundown of some of the bigger items and why I chose them. These are the lights I intend to use as my primary indoor studio lights for the EL Octa 74” (190cm) Indirect Light Bank or the Elinchrom 39" Rotalux Deep OctaBox as well as the 27x27” & 14x35” Softbox Kit. I have a permanent studio, so these will always be connected and ready to go in the studio so the mono lights save me the expense and recharging hassle of the Rangers for my main work. My initial plan was to go with all RX monolights, but after one of my trusted colleagues (and a former guest blogger) suggested that I consider the Qudra’s I went and sought advice from my trusted top photographers. While the Qudara’s got mixed reviews, there was enough positive – especially with my configuration – to warrant giving them a try. 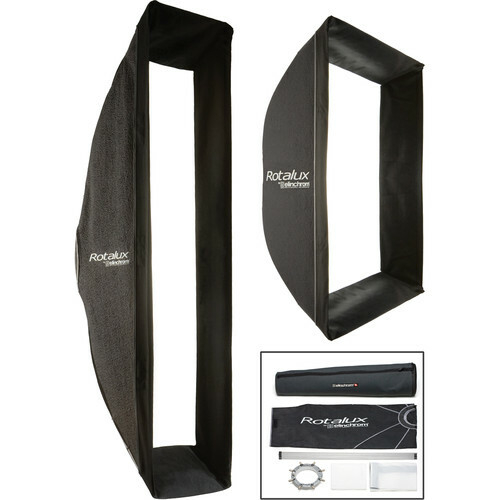 I like the idea of having portable studio lighting for some of my tricky outdoor shoots, but the primary purpose of this kit was for my indoor studio. Portability means nothing if it can’t work well in my studio, and my Elinchrom experts assured me that these lights would play nicely as the secondary lights in my RX studio configuration. As a result, I plan to use these for my background and hair lights when they are in the studio. When I’m on the move I’ll only take these long with my Elinchrom 27x27” & 14x35” Softbox Kit, so hopefully they’ll work as well as I hope they do with these soft boxes. One of the cool things about my blog is that I get to interact with a lot of fantastic photographers, including those on my favorite photographers list. The experts I know who shoot with studio lights unanimously swear by the EL Octa 74” (190cm) Indirect Light Bank and Elinchrom 39" Rotalux Deep OctaBox, so these two were first on my list before I even figured out what lights I was going to get (they make head and speed ring adapters for Profoto, which I also considered). 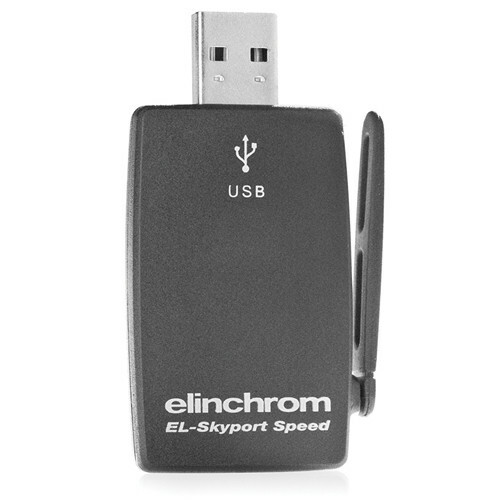 My plan is to experiment with shooting directly from my computer, so Elinchrom’s EL-Skyport Software 3.0 which allows for controlling the lights as well as saving the configurations was a big reason why I chose Elinchrom (despite my horrible experiences with their sales and marketing personnel). I have seen this setup in action before at a friends house and it looked pretty awesome, so I figured I’d give it a go as well. 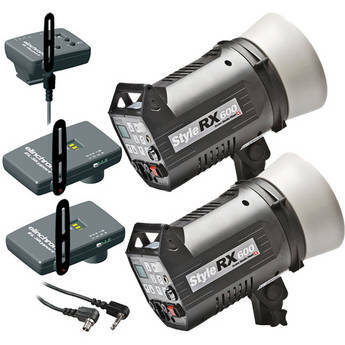 I can always use the on-camera skyport to control all the lights (both RX and Qudaras) if I want, but the idea of controlling them all from the computer ensures that I get the great shot without being fooled by the tiny LCD image on the camera. ELCFS8.25 1 Color Filter Set for Elinchrom 8-1/4"
ELLBO 1 Octa Light Bank for Flash - 74"
RO7300S 1 Polarizing #7300 Filter - 17x20"
I know I’ll get lots of emails and comments about what I’m missing from my setup, but the biggest thing I’m missing is more cash to pay for all of this stuff! :) As a result I had to stop somewhere, so I got the best configuration I could for my budget. Well, actually my budget was $5000 USD, but it all came in at just under $7500 which still makes me want to puke when I think about it. Despite outwards appearances, my divorce a few years back wiped me out so this was a big decision/investment for me just as it would be for many of you. I’ve got all the cash for it squirreled away after years of saving, but I still took advantage of Bill Me Later for the first $5000 of it (all but the Quadras and Softbox kit) so I could take advantage of the 6 months no payments loan (I love free loans, but I still make the payments <g>). This allows me to try this stuff out and if something needs to be returned, it can be without impacting my cash flow (it will be a Bill Me Later refund). It’s a great strategy I’ve used for years, so it makes the sting of a big purchase like this feel less painful. 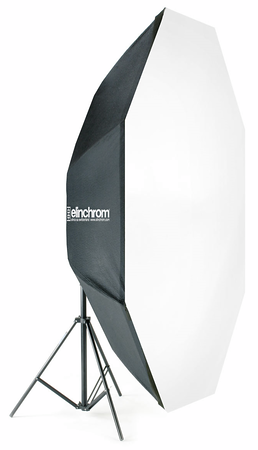 Let me be very frank in saying that I think Elinchrom is totally screwed up in the US. It is my understanding that they don’t sell directly here, but rather go through Bogen Imaging (aka Bogen-Manfrotto) as the US distributor. Now I’m pretty sure humans work at Bogen Imaging, but I haven’t had much luck to speaking to any so maybe they are just robots with one guy pushing the buttons. When I was lucky enough to talk to someone well known for Elinchrom marketing in the US I got this brilliant reply “Elinchrom is located in Switzerland. Manfrotto is just the importer in the US.” I think I would have liked the response “we just collect the money – we don’t actually do anything” better, at least it would have been more honest. With this in mind I tried to go through Switzerland to speak with representatives I was told (get this) you have to go through one guy at The Flash Centre in the UK to actually talk to someone. WTF???? If you go to their web site its like this horrible thing you’d see back in the mid-90’s! When I finally got this guys email he actually acted like he was doing me a favor by giving me his name, and then pouted because I missed one of his emails (sorry dude – ever heard of spam filters?). He never responded to my emails again – brilliant! Are these guys for real? You’ve really gotta be kidding me! Now there’s apparently some good engineers in Switzerland that actually build these lights and their reputation for quality is very well known, so despite my personal desire to say screw these bozos I chose to give them a try. We’ll see how things go, but if I have this same experience with customer service these things will be heading back to B&H in a heartbeat and replaced with Profotos. I care about quality and engineering, and my own personal experiences with Alien Bees lights are that they work (any lights can get the job done) but the quality and consistency is below my acceptable bar of tolerance for me to personally invest in them. I know a lot of people believe in them and there’s tons of articles that swear by their value, but as someone who has used them on several occasions I just can’t get myself to invest my own hard earned cash in them – no matter how cheap they are. I’m very happy to save and wait to pay 5x, 10x, etc… more to get high quality products that are trusted by the experts I trust the most. I’ve had some positive experiences as well using Paul Buff’s lights so I don’t think they are horrible either – they just aren’t for me. Will You Do a Lighting Series? At one point in time I had this grand idea of doing a lighting series with Profoto, Elinchrom, Alien Bees, and Westcott, but all of these companies seem to have one thing in common – they seem content with their current market share and have no interest in the readers of this blog or the 2300 member photography club to which I belong. With no sponsorship and not enough personal income to support such an effort, there’s absolutely zero incentive for me to invest the hundreds of hours it would take to do this. If I took the time to review what I have already purchased, I’d effectively be giving free advertising to Elinchrom who has up to this point treated me like crap so that’s not going to happen. In fact, I was very reluctant to even write this article, but I did just because I thought my gear geek friends would enjoy knowing what I decided to go with while they try to decide what they may get one day. My opinion may change in time, so I won’t say it will never happen – but I will say that my priority will be discussing products from companies that I believe in and who care about the readers of this blog. Will You at least Share Lighting Tips? This blog was started as a hobby and has grown into more than that, but I still do articles that are purely for fun with zero financial benefit to me whatsoever. That will continue, so if I end up with some burning desire to talk about something I will – it’ll just go in the queue with the hundreds of other ideas I have on my plate now and prioritized accordingly. I want to learn from you too! Share your tips, tricks, advice and more at the lighting forum. As much as I’ve tried, I have NO affiliation with Elinchrom whatsoever, so I have no incentive to mention their products beyond my desire to share with you what I chose to get. I may get a commission if you purchase any of this gear from B&H using the links provided so I certainly would appreciate it if you do. All of the gear listed was paid for out of my personal pocket and is not sponsored. So I just got done watching Zack Arias's studio lighting class on creativeLIVE. He had 2 reasons to go with the Alien Bees. First was of coarse the price. The second was 'customer service that I could get a human on the phone' or something to that effect. Looks like a great and well thought out setup, too bad I will probably never be able to justify buying a studio setup like that. 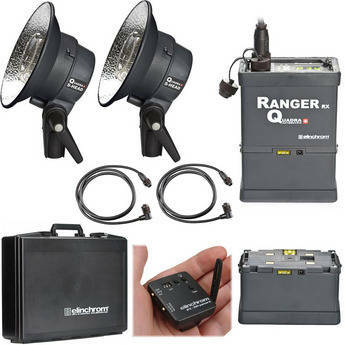 Hello Ron, can I ask now that you have had these elinchrom lights for a year, have you posted an update on your experience with them, if so can you point me too it, would you buy these lights agin, I ask because I am like you about to spend a few thousand on them. And would welcome your opinion.. 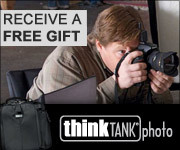 Thanks for the note about the broken link Paul - I'm trying to track this down at B&H. I'm quite upset about it too! This problem has been resolved and the studio lighting list has been restored on the B&H website. Thanks for the report! As of November 2016, I've had this gear for a few years now and I'm still satisfied with it. 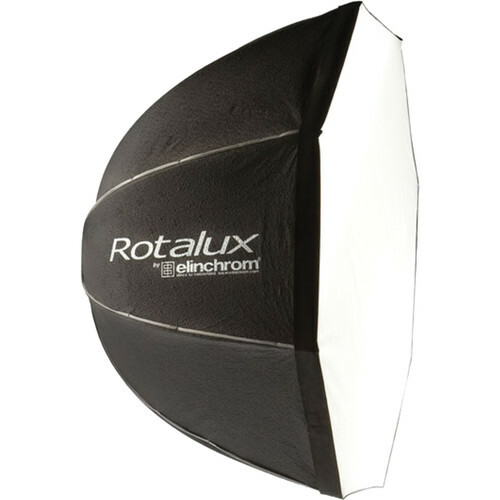 I returned the "Background Reflector for Elinchrom", but other than that it's all a part of my active photography studio.